All macaws are parrots, but not all parrots are macaws. As a group, parrots are unique: all have short, hooked bills, flexible tongues, and grasping four-toed feet which they often use like hands. They are familiar, gregarious, and often brightly colored. 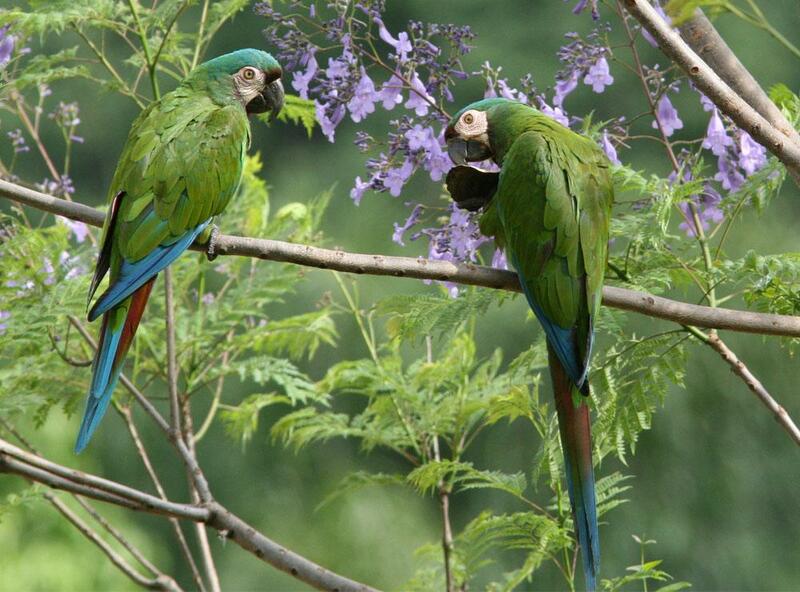 Some are as small as sparrows while the macaws can measure up to well over a yard in length. Macaws have been said to personify the wild rainforests and certainly the sight of a flock of these majestic birds is both a noisy and unforgettable experience. All macaws can be distinguished from other kinds of parrots by the patch of bare skin that covers the face and usually reaches the base of the beak (some macaws have narrow lines of feathers crossing or interrupting this patch), and by their distinctive, long, graduated tails. There is evidence that macaw facial feathers are as unique as a human fingerprint. There are about a dozen and a half species of macaws recognized and they are grouped into six genera. Collectively they range from Mexico south through Central America into tropical South America. Some kinds of macaws are brilliant green while others may be bright blue and yellow, or scarlet, or rich cobalt blue in color. All of them have raucous voices that command attention. 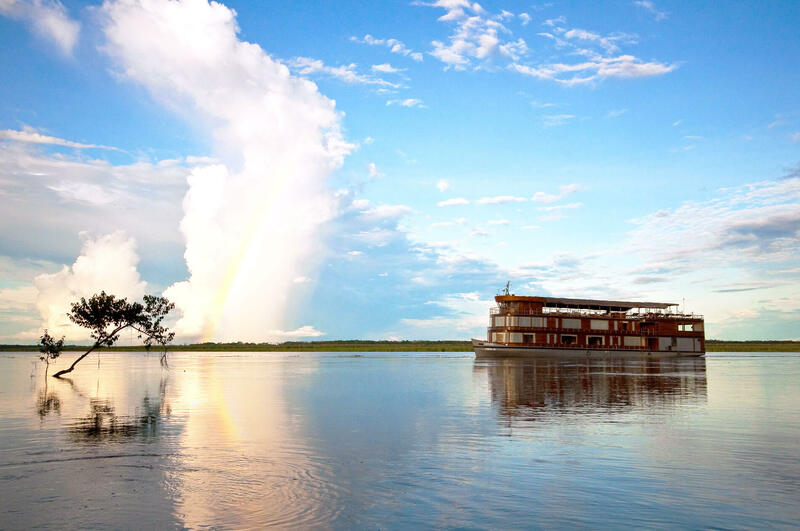 They are highly social and prone to visiting mineral licks such as the famous cliffs in Peru’s Madre de Dios region. The Hyacinth macaw has the largest wingspan while Buffon’s macaw is the bulkiest. 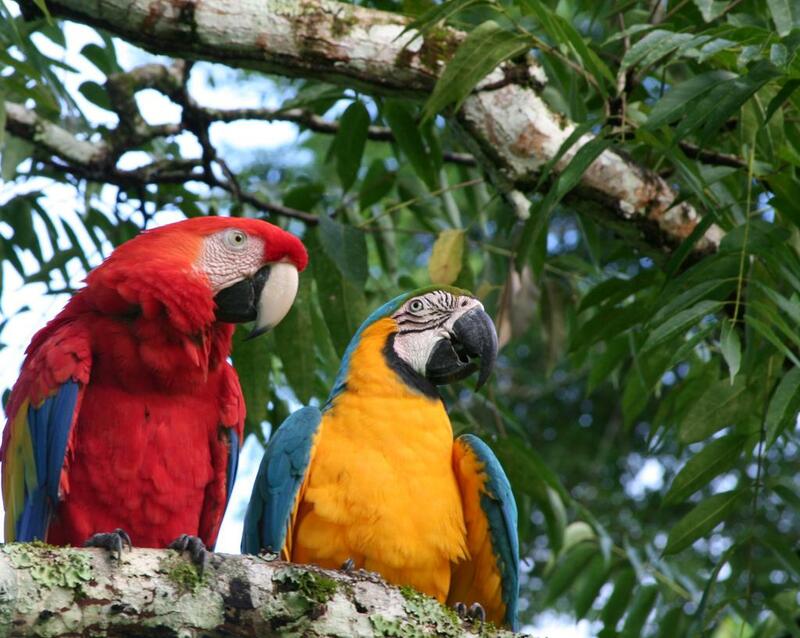 The Red-shouldered macaw is as small as a large parakeet. In Amazonian Peru and Bolivia we typically see Red-bellied and Chestnut-fronted (Severe) macaws, Blue-and-Yellow macaws, Scarlet macaws and Green-winged macaws. 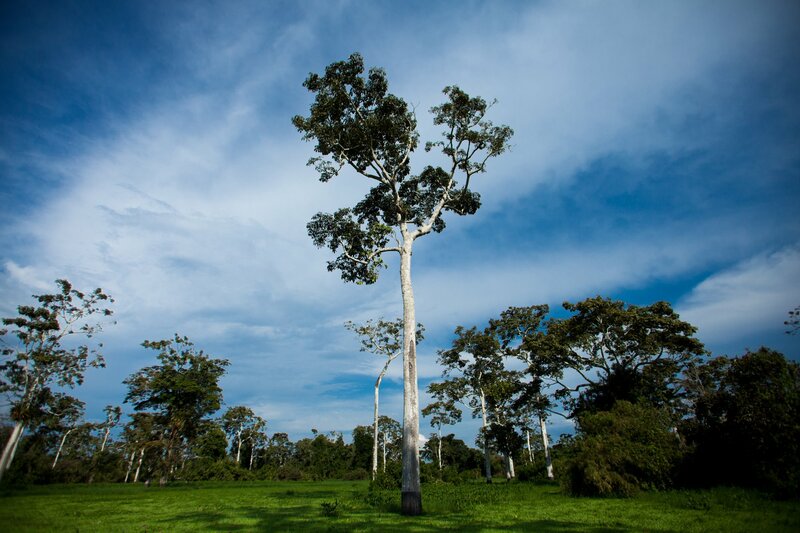 Most species favor remote rainforests or savannas with gallery forest. Often flocks will settled in the tops of large trees where they feed on nuts and hard seeds which they easily crack with their powerful beaks. The majority of macaws are now endangered in the wild. Five species are already extinct, and Spix’s Macaw is now considered to be extinct in the wild. The Glaucous Macaw is also probably extinct, with only two reliable records of sightings in the 20th century. 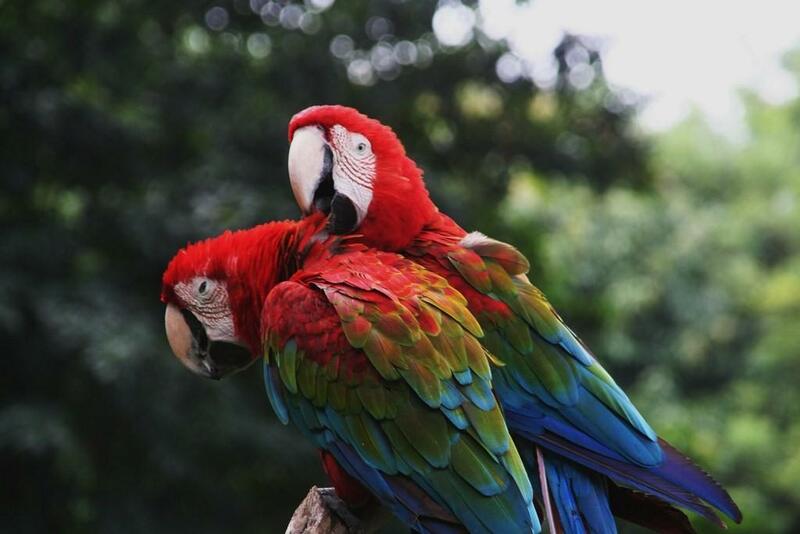 The greatest problems threatening the macaw population are the rapid rate of deforestation and the illegal trapping of birds for the pet bird trade. 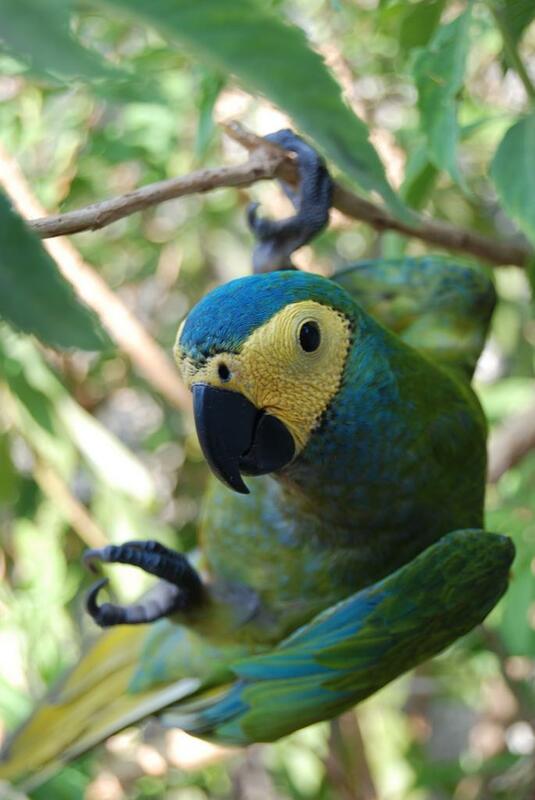 For each macaw that one can find in a local Pet store, 100 are dead in their way. 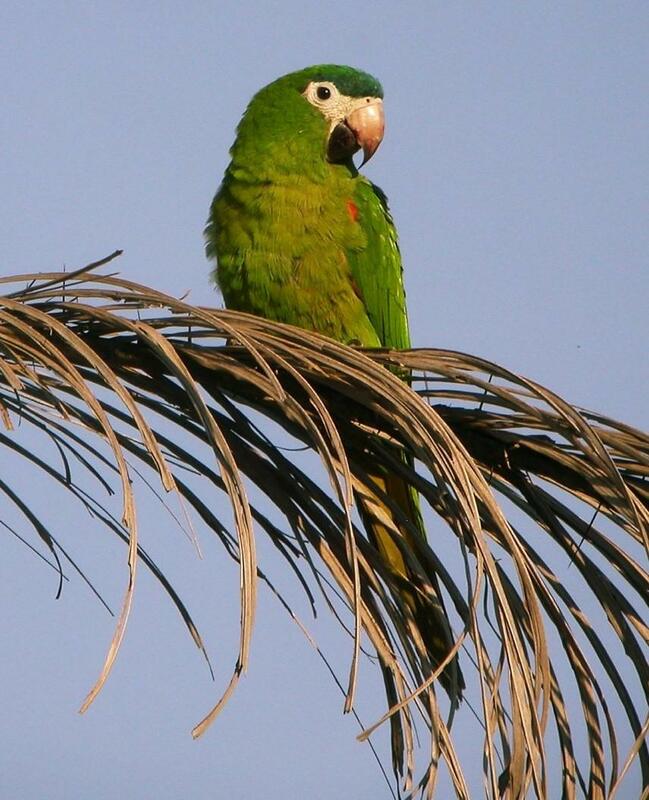 Some current research into the viability of rainforests includes macaw surveys, because the presence of flocks of macaws indicates the relative health of the trees. 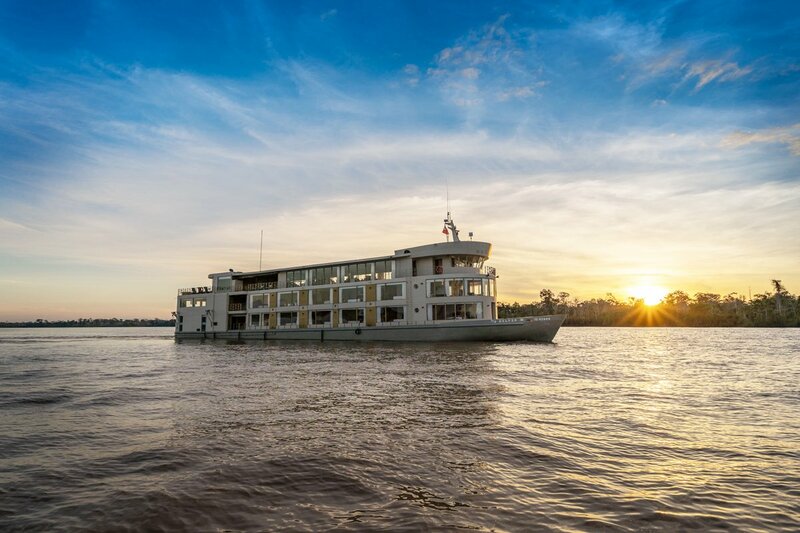 Their imposing presence, magnificent colors, and endangered status make seeing these creatures an unforgettable part of experiencing the Amazon.